In its third and final Gardner concert devoted to pairing Mozart and Britten, Pacifica String Quartet this Sunday exploited the subtle connection between the drama of giving birth evoked in Mozart’s Quartet in D Minor, K. 421, and the drama of dying in Britten’s String Quartet No. 3. In both cases, the foursome boldly focused on the creative process of gestation by giving remarkable attention to the importance of silence. D minor was for Mozart the key of fate and death, as in his Piano Concerto K. 466 and of course in his Requiem. The second of the Haydn quartets, K. 421, is his only mature string quartet in a minor key, and D minor gives it a special significance perhaps associated with Constanze’s pregnancy and the impending birth of their first child. Pacifica took the first movement molto moderato, as though to savor every emotional nuance and detail of Mozart’s virtuosic artistry, first violin Simin Ganatra highly emotive throughout. Composing, performing, listening, giving birth, are gestational processes that deserve a plenitude of attention. We heard clear, crisp phrasing, the instruments clearly differentiated, strong attacks and dramatic crescendo and deep shadows of brooding expectancy, especially in the development, like shifting from one part of the body’s resources to another. Tinged with a note of supplication, the coda suggested vulnerability. The andante A section felt stately and sober, emphasizing the Haydnesque, while the Trio took a dark turn, with stabbing pain and imminent danger. The return brought comfort by reminding us that beyond our immediate human drama a vast and serene nature pursues its own perennial purpose. In the third movement, Pacifica brought out a wonderful contrast between the wrenching, painful and emotional angst of the menuetto and the light, playful reverie of the Trio, like a daydream of a child’s magic love of wonder, making use of the Scottish snap and some judicious portamento. In the allegretto ma non troppo finale, the theme was stated perfectly, sweet and sad, all of life packed into the siciliana. The first variation was slow and gentle, but flowing from a place of great inner depth; the second, with its marvelous syncopation, was focused and determined, a bit wistful, marked by strong cello accents evoking life’s mad seduction. The third was retrospective, as though looking back at life with longing and lucidity; in the fourth we heard acceptance and joy. The coda was spectacular, with the Haydnesque surprise element transformed into a crashing dissonance, then to simultaneous D major and minor, resolving to a tierce de Piccardie, heralding both birth and death indivisibly intertwined. 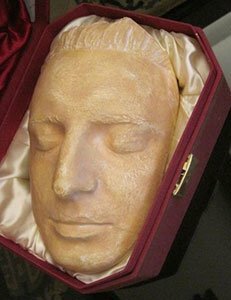 “The third quartet, then, is where Britten officially takes his leave … this is the moment where he gives up his soul.” So wrote Brian Hogwood of Britten’s last major work, one premiered by the Amadeus Quartet two weeks after Britten’s death. In five movements following an arch, patterned like Beethoven’s Op. 132, the work ends with a valedictory passacaglia that takes Britten across the water to the other side. Pacifica gave us a full-bodied, multi-dimensional first movement, evoking the soul adrift on the water with itself. Rostad’s viola led a marvelously threatening B section, like a sudden chill in the evening wind. In the A section repeat, soul and self sought to stabilize—most imploringly in the first violin, with an attempted flight—but for the other instruments, soul remained moored in dark shifting eddies. If the first movement evoked the soul, the ensuing Ostinato movement evoked the body, with a march-like, forceful, impelled urgency, followed by a dreamy interlude, a moment of relief but still tinged with dread. The cacophony of physical breakdown returned, ending with an attempt at rescue. The central movement marked “Solo. Very calm” returned us to the soul and to piercing beauty. Ganatra’s violin called out to the cosmos, while Vamos’s mournful cello evoked the body’s sadness that it can’t go where the soul goes. The call was answered: an outburst of sparkles, a canticle of creatures, a community of living souls, responded from a multitude of faraway worlds. With the return of the A section, we felt that the soul had breathed the pure ether of the cosmos and recovered hope. The ensuing brief Burlesque was played as a Shostakovich-like regime of terror, a diabolical dance, the middle section an astral version, the soul tempted to join the body’s rebellion, the return becoming a mad Totentanz. But then, in the marvelous finale, La Serenissima, Pacifica made the recitative a dialogue between the soul and a creative, spiritual Death that is transformation and gestation, the cello urging that the time has come, authoritative and resolute. As the passacaglia unfolded, we heard the soul give form to its own exit, compose its own swan song, express the sorrow of leaving and show us that the artist does find perfection, form, eternal youth and life’s essential elegance by receding backward into darkness, looking back tenderly until he is assumed into the light of another shore. La Serenissima! 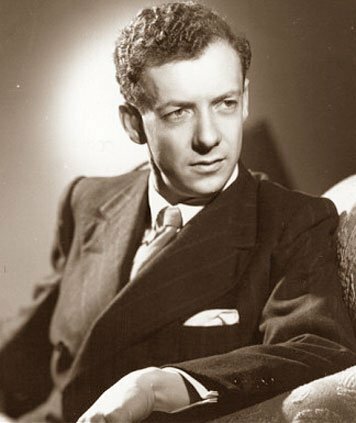 In this last quartet Britten added an epilogue to his opera Death in Venice and answered Thomas Mann: through love and loyalty to Art the artist becomes the eternal youth against the sunlight for which he reaches.